Ammocoetes. 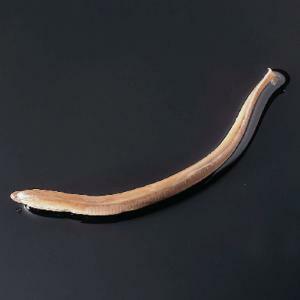 The lamprey’s earliest developmental stage; useful for comparison with mature lampreys. These specimens were collected as part of the lamprey control program being used in many states. Size: approximately 4–4 3/4".